One thing I didn’t mention in my last blog post, about what will be needed in the shop – books, of course! We will always need books – of any kind, for any age, any books at all. I want the shop to have as broad and deep a stock as we can muster. I am always very happy to take donations, of course, but if you have more precious things that you would prefer to sell, do get in touch as well. I have already been given lots of books, and have more donations waiting in the wings for when I have access to the shop premises, and it’s been great looking through the donations so far. Lovely old hardbacks, of the kind you just don’t see any more, Latin and Greek literature, some really interesting little finds – a couple of copies of Folktales of the West Midlands, which I’ll be reading before adding to stock! And a pile of pre-decimal Ladybird books, which I loved so much as a (pre-decimal) child. I have people who are waiting to give me collections of books due to moving or downsizing, or from loved ones who have died and want their books to go to a good home or cause. It’s all wonderful, seeing people’s lives through books and it’s part of what makes second-hand books such wonderful things. If any students are reading this blog, student textbooks are always welcome – I know in some subject areas things go out of date quickly, new editions are published each year, but even recent editions may be useful for when the library copies are out on loan and heavy with hold requests! So do bring your course books, and also bear us in mind if you are looking for second-hand copies of texts to buy. We hope to get more involved with the student community generally – as a venue for things like poetry evenings, small drama events or acoustic music events, anything similar that may be of interest. I work a few hours a week at the university, so do get in touch if you would like to find out more or discuss anything. So if you have any books you are planning to get rid of – from a couple of paperback novels to a no-longer-wanted library, do consider the Tree House. I can arrange collection if you are unable to bring your books to the shop (the shop to which I hope to have access very soon!). 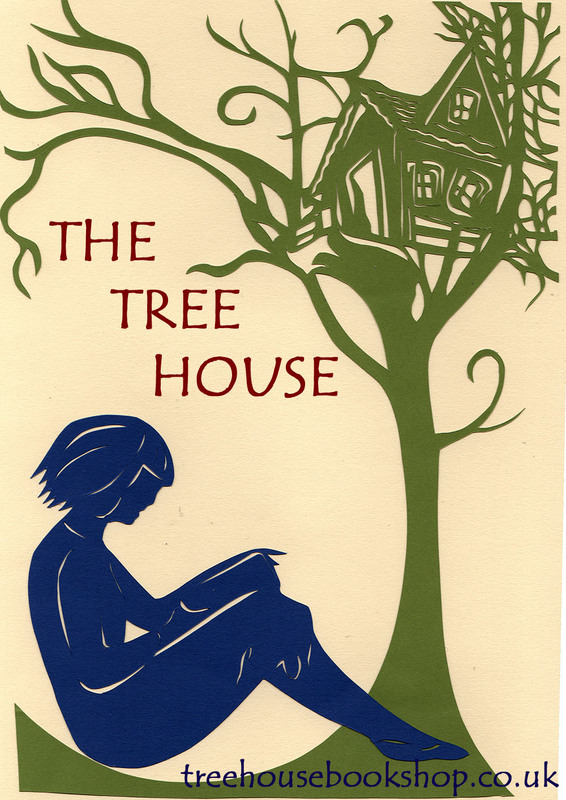 I am hoping that people will treat the Tree House as a kind of personal library – you can come, sit and read the books, buy a book or two, and bring them back when you’ve read them – bringing back books with Tree House stamps in them will give you a discount on future purchases. It’s getting closer to becoming reality…I just can’t wait! The Tree House has premises! I can’t quite believe it. The lease has not been signed yet, but it should all be pretty straightforward and quick – the shop I have is ultimately destined for redevelopment, so it is a short term lease, and the owners can give me a month’s notice at any time. But it means the lease is much cheaper than standard commercial leases, and I don’t have to commit to a two-year contract – I can also just give a month’s notice if it all goes wrong. Which it isn’t going to do, of course…! It’s so exciting. It’s a great space, a great location, and a brilliant way to get the Tree House started and established and see if it’s a viable business, without too much risk. I can’t wait to get in there and set it all up! It should all happen fairly quickly – I’ll give more details in due course! It does mean we will no longer be at Kenilworth market. I was due to be there this Thursday, but as I am not very well this week – and I think still getting worse – I have decided to cancel this week’s stall as well. It still hasn’t sunk in – feeling unwell probably doesn’t help, but I really can’t believe it’s all going to start happening very soon! It’s five months since I started this blog, about eight months since a friend and I first discussed the idea, and a lot has happened in those months – I’ve managed to keep the momentum going, though it hasn’t always been easy! But then I didn’t expect anything different. So once I have signed the lease and picked up the keys I will post a few photos. I have some friends who are going to help get it shipshape. The main thing I need to get is lots of shelving and/or bookcases! So when I’m feeling better I’ll get on with that. In the meantime, back to the buttercup syrup and an early night…feeling rough, but soooo happy! I was wondering about setting up an online book group, and wondered if there would be any interest out there. We could aim to read a book a month – but the good thing with online groups is that even if you don’t finish the book by the discussion date, you can still add your own thoughts when you have finished, and we can revisit earlier discussions. I would also say that I belong to a book discussion board already, and if anyone does want a forum for discussing books more generally, as well as joining in discussions on particular books and group reads and other bookish things, I would recommend it. It’s called Big Readers (it grew out of the BBC’s Big Read in 2003 – wish they’d do that again! ), and some of us have been together since then, but new members are always welcome. Go to http://bigreaders.myfastforum.org if you are interested. But if you would be interested in a Tree House book group as well, just reply below. This week I should hear whether I have secured the premises I mentioned in my last post. But to avoid dwelling on that (I hate waiting! ), I am focusing on other things that will be happening this week. The Tree House will be at Kenilworth market again this week, Thursday 23 May. Market officially starts at 9am, but I’ll be there earlier. I will have mugs (£7) and magnets (£1.50) to sell, and also a stock of Film Club membership cards, so you can sign up to the Film Club if you’d like to – a £5 joining fee, then £3 per film on the night, including tea or coffee – can’t say fairer than that. Cheap night out in Kenilworth! You can join at any time, on the night or at the market stall, through the website or the Film Club tab here – both places have a contact form. And it has a janitor who listens to Bob Dylan on his iPod while he mops the floor, and sings along…happy 72nd birthday, Bob! Might have found premises…might have found premises…might have found premises… Great location too. Should know this coming week. Please keep everything crossed that you don’t need for any other purpose at any particular time! Did I mention that I might have found premises?